To most people, the idea of being out in the cold on cold water sounds horrible. You’re probably thinking that right now. Would it surprise you to find out that it can be a great experience? Cold water stand up paddle boarding (SUP) is a different experience than regular stand up paddle boarding. Cold water SUP will probably have you traveling somewhere you’ve never been, giving you travel experience and allowing you to see the beauty of the world from on the water. 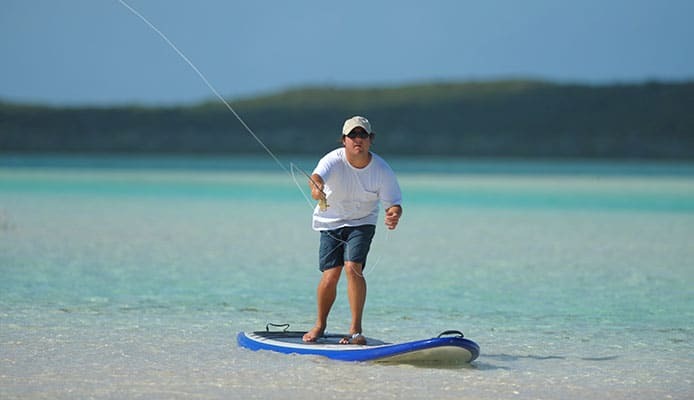 dle boarding can be done anywhere, and if you can learn how to paddle board in the conditions you live in, it can be part of a weekly, or even daily, routine. There’s also beautiful pictures of cold water SUP, so be sure to bring your camera with you. Being able to document your trip lets you share it with others. Cold water SUP can be extremely rewarding, but it’s important to spend as much time as possible preparing for your trip. No one wants to experience any kind of accidents, so ensuring that you’re as prepared as possible is extremely important before cold water SUP. And in the case of an accident, your knowledge on what to do can be the difference between you being deathly ill and you coming out unscathed. Number One: There are no crowds. If you’re going to be spending time with nature, the appearance of people you don’t know can get in the way and become aggravating. With cold water SUP, no one will be bothering you. Number Two: Calm nature awaits. Like any kind of paddle boarding, cold water SUP gives wonderful views of nature. However, cold water SUP can show you a different side to nature, a side that you would never see unless you go cold water SUP. No one typically goes cold water SUP, so you get to see nature in its calmest state. So take the time to go bring all the gear out of your comfort zone and try something new! Number Three: The nature isn’t just calm, but beautiful. You’ll see snow and other things that you would never see if you didn’t cold water SUP. Stylish caps and glaciers are just the start; you may even see some new animals. Cold water SUP gives you the opportunity to see parts of nature that you’ll probably never get the chance to see in the natural environment. You can always go to a zoo and see cold-weather animals, but that doesn’t compare to seeing them in their natural habitats. Wear the right kind of clothes. Sometimes the most common-sense things are the most easily forgotten. While you’ll need all your typical paddle boarding equipment, like the paddles, board, and leash, you’ll also need to prepare for being in the cold. You’ll need to protect your body from the chill. This is by no means an extensive list, so bring whatever else makes you feel comfortable. Depending on the weather conditions, you may not need all of this as well. If you’re going easy to transport out in 40 degree weather, you’re going to need less layers than if you were going out in 20 degree weather. The colder the weather, the more dangerous it can be, so make sure you’re as prepared as you can possibly be. It’s smart to bring all the gear you have in case you get caught in colder weather than you expected. Cold water SUP can be very dangerous, so it’s important to always keep your mind straight while you’re out there. Make sure you know the area you plan on going; it’s even a good idea to go check it out beforehand if you’re able. Keep up with the weather forecast for the body of water itself and the area surrounding it. Never go in weather that’s below freezing, or the wind is going to be high. These two alone are dangerous, but combined together can be deadly. Try to find friends that can go with you, especially if you’re going to a new area. Remember that the temperature of the water will be extremely cold. Make sure to do research on the temperature of the water you’re on; most places have this listed online. After finding that out, look at temperatures and times until you can develop hypothermia in case you fall in. This information will only benefit you in an emergency, and hopefully it will show you how serious cold water SUP is. Don’t let the shore leave your sight. In any emergency, it’s important to be ready to get back to land. This is a general rule for any kind of water activities, but in the winter it’s especially important as you can’t stay in the water as long. Make sure to do research on how long you’ll be able to stay in the temperature of the water you’ll be cold water SUP in. Be prepared to get to the shore at all times; it could be the difference between you being a bit chilly and you having hypothermia. 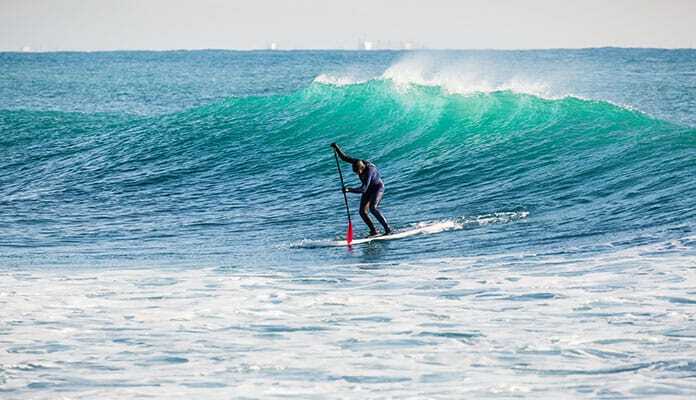 Don’t be put off by all the safety precautions; regardless of the safety hazards, cold water SUP is worth every bit of time that you put into it. As long as you are prepared, you’ll be fine! Planning your cold water SUP trip is important. You’ll be able to ensure what you’ll be going to see, and planning your trip makes it easier to see the weather for the day. If you have a definite time and date set, you’ll be as prepared as you could possibly be for the conditions, and you’ll know where you’re going at all times. Part of this is knowing the wind direction for where you’re at on the day you go. Make sure to paddle into the wind when you start your trip so that you’ll be paddling with the wind when you’re coming back to shore. It sounds like a little detail, but this helps make paddling easier when you’re tired. In the cold weather, the air can feel harsher on your lungs and make exercising more difficult, so saving energy in any way possible is important. When you plan your trip, try to make sure that your phone battery will last as long as you’re cold water SUP. Cold weather makes phone batteries die quicker than warm weather, so be sure to keep an eye on your phone for emergencies, and head to shore before your phone dies. If you plan your cold water SUP trip, you can also let other people who aren’t accompanying you know what time you should be back. In a case of an emergency, you’ll have people who will know right away that something is wrong. This time saved could be essential to you, and any adventurer knows how much a few minutes can change the outcome of an emergency. Cold water SUP is out in cold, obviously. This can cause a lot of people to get grouchy quick, ruining the fun in the sport. Make sure to keep an open mind as you’re going out, and be sure to bring your smiles. Cold water SUP can get frustrating really quickly, and it’s likely something that’s new to you. If you go into the sport with a bad attitude, you’ll ruin the experience for both you and everyone around you. Part of having a good attitude is being confident. Confidence is important when you’re cold water SUP; without it, you can make mistakes and second guess yourself, making the trip a bit more dangerous. Make sure you’re comfortable with where you’re going and cold water SUP in general. You can do this by doing all the research mentioned above, and by double-checking everything. Keep your head lifted high so you can see all the wonderful nature while you’re cold water SUP!